This post contains affiliate links. If you click on a link and then make a purchase, I may get a small commission from that sale, at no extra cost to you. To make things easier for you - I thought it would be fun to gather a few ideas for last minute gifts that you can possibly score this week before Sunday comes rolling around. What's even better is that all of these mother's day gift ideas are under $30 bucks (not that mom deserves cheap gifts, but maybe you're on a tight budget, or maybe you just want to add a little extra gift to the one you already have.. orrrr maybe mom doesn't want anything at all but you can still get her a small thoughtful gift that says 'i love you') - They're also mostly all available on Amazon which means you don't even have to leave the house! 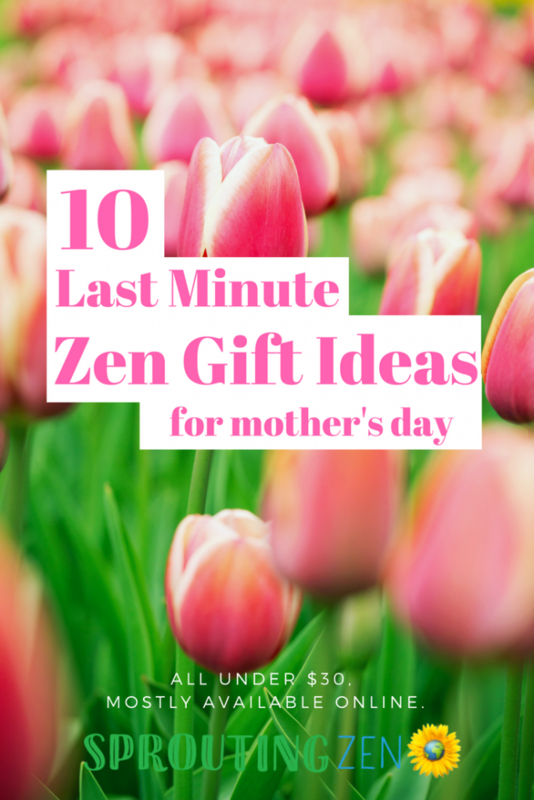 These mother's day gift ideas below are perfect for any special mama, but of course since we are all about ZEN around here.. these ideas are all about gifts that create a zen-filled, relaxing atmosphere. And I think all mama's would appreciate a little extra zen in their lives. *The post below includes affiliate links. When I find great products that are in line with our mission, I like to share it with my readers. Sometimes I use affiliate links so that I can earn commission for my recommendations, at no extra cost to you. Thank you for your support. Not only do these lamps make for pretty relaxing decor, they also have a ton of benefits. They create a calming environment and are also believed to help relieve stress and improve sleep! Plus, it doubles as a nightlight. There are 11 different styles to choose from including a sun, star, and buddha design! I have a few of these at home myself, and I have given this as gifts to the mamas in my life and they all LOVED it! If you are looking for a more traditional himalayan salt lamp without the design - check this one out. Essential oils are all the rave now a days. Mom can use these as an alternative to chemical-laden perfumes, or use them to create her own natural household cleaning solutions (I love to add a few drops of lavender essential oil to my bucket water and it leaves the whole house smelling like lavender!) Each oil has specific benefits - lavender helps with relaxation and insomnia, peppermint helps relieve muscle pain, and orange can increase energy levels! This set includes 6 different aromas, are USDA organic approved, and have tons of positive reviews. I haven't tested out this brand, but I do love the NOW Essential Oils brand - a little bit pricier but if you want to check those out you can find them here. If you're getting mom essential oils, maybe you want to add an aromatherapy diffuser along with it. These diffusers are so handy to have around the home. They eliminate odors and can elevate the mood. Plus, this one is a 2-pack for just under $20. It changes colors too! Is mom a yogi? Does she love animals? I can promise you she'll get a good laugh from these calendars. They are absolutely adorable and have many different animals to choose from. I've linked the dog one above, but they also have a cat, cow, and a super adorable sloth one available. I purchased the sloth one myself and gifted it to my local yoga studio, and now it hangs up on the wall! *please note all of these links are affiliate links which means that if you make a purchase I may possibly get a small commission from that sale, at NO extra cost to you. Help mom create an atmosphere of 'zen' anywhere with this awesome tabletop zen garden kit. Not only is it pretty decor, but it also doubles as an incense holder and tealight candle holder. Perfect for the home or to add some relaxing flair to an office workplace. Help mama keep her skin soft and glowy with this organic coffee scrub. It smells amazinggg and feels even better on your skin. Mom can create her own spa day at home using this delicious coffee scrub. Encourage mom's green thumb by gifting her these adorable cute succulents. They don't need much care, but add a whole lot of pretty green vibes to any home or office. Okay so this one's not from Amazon but you can still get it in time before mother's day. Why not encourage the mamas in your life to try out some yoga. Yoga has some amazing physical and mental benefits that include: stress relief, increased flexibility, pain management, and meditative benefits. 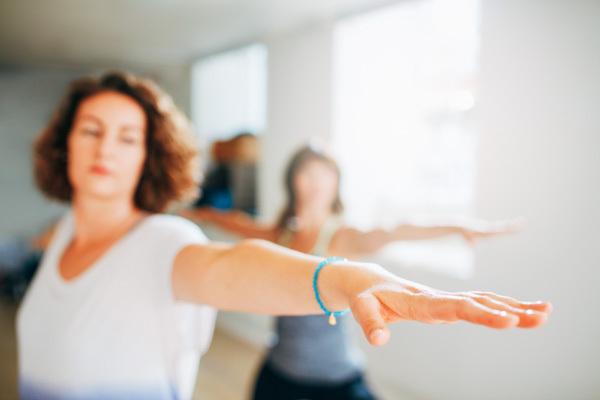 Show mom that you care for her, sign up with her, and do some yoga together! How cool is this! Don't buy mom a bonsai tree, buy her a bonsai tree starter kit and let her grow her own! This set brings enough to grow FOUR bonsai trees from seed! I haven't used this personally myself, but it has ton of great reviews and the process seems easy enough. If all else fails, they do have a 100% satisfaction guarantee, so why not give it a try?! If mom loves make up, gift her make up that is cruelty free and eco friendly! Ecco Bella is the make up brand that I personally use, and have been using for years since going vegan. At EB, they pride themselves in being cruelty free. None of the products are tested on animals and the majority of their products are vegan (a few do contain beeswax, so always check ingredients). EB tries to stay as natural as possible and refrains from using chemicals, fragrances and gluten in their products. Super extra win: Some of the Ecco Bella products are also available on Amazon. I am linking below my favorites, but make sure to search to see what else they have available on there. So there you have it. 10 amazing (and totally affordable) last minute gift ideas for that special mom in your life. Find us at @sproutingzeneats and follow our hashtag #sproutingzeneats to stay up to date with the latest and greatest.